Traveling to a new place and staying in a nice hotel is one way that many of us relieve stress. You would never expect that a relaxing trip could have been the start of a major headache. If you’ve stayed at a Marriott hotel, there’s a good chance that your personal information has been stolen. The mega hotel chain announced that their reservation system had been breached and an estimated 383 million guests’ information was compromised. If you believe you may be a victim, we have all of the Marriott data breach information you need. In 2016, Marriott acquired Starwood Hotels. According to Marriott, in the reservation system of these hotels is where the breach originated. Marriott owns a large number of hotels which fall under many different names. The hotels that were affected include: The Luxury Collection, W Hotels, Aloft Hotels, Element Hotels, Sheraton Hotels and Resorts, Tribute Portfolio, S. Regis, Westin Hotels and Resorts, Le Méridien Hotels and Resorts, Four Points by Sheraton, Design Hotels affiliated with the Starwood Preferred Guest program and Starwood timeshares. Review your bank account transactions and credit card statements for any fraudulent activity. A credit freeze is a safeguarding tool that will make it more difficult for criminals to open credit under your file. If you become a victim of passport fraud, Marriott has offered to pay for a new passport for affected guests. 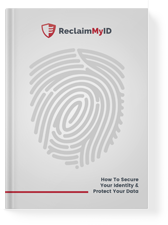 Sign up with a identity theft restoration service, such as ReclaimMyID, before your identity gets stolen. These services will restore your identity 100% to its pre-theft status. This can save you thousands of dollars and hundreds of hours of valuable time. Data breaches are becoming more and more common so keep your eyes open, even if you weren’t affected by this one. The Marriott data breach information was startling and shows that you never know where your information may be. Use this breach as a lesson to always take the protection of your information seriously.